Solid state disk (SSD) is the most common acronym, SSD is also used for solid state drive or solid state disk drive, replacing disk with drive in the acronym. Abbreviated SSD, a solid state disk is a high-performance plug-and-play storage device that contains no moving parts. SSD components include either DRAM or EEPROM memory boards, a memory bus board, a CPU and a battery card. Because they contain their own CPUs to manage data storage, they are a lot faster (18MBps for SCSI-II and 35 Mbps for Ultra Wide SCSI interfaces) than conventional rotating hard disks; therefore, they produce highest possible I/Orates. Solid state drives and USB flash drives both use the same type of non-volatile memory chips that retain their information even when they have no power. The difference is in the form factor and capacity of the drives. While a flash drive is designed to be external to the computer system, an SSD is designed to reside inside the computer in place of a more traditional hard drive. 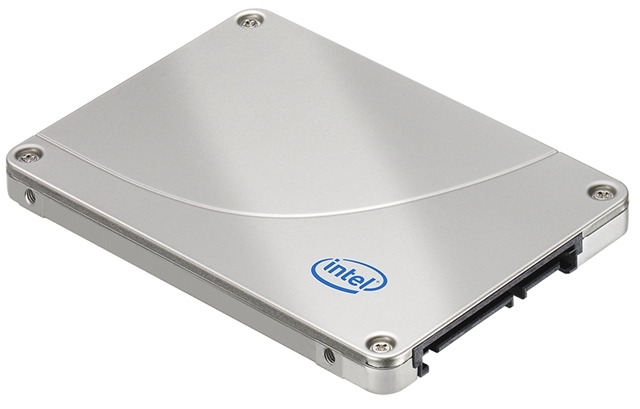 An SSD on the outside looks almost no different than a traditional hard drive. This design is to allow the SSD drive to put in a notebook or desktop computer in place of a hard drive. To do this, it needs to have the standard dimension as a 1.8, 2.5 or 3.5-inch hard drive. It also uses the common SATA interface so that it can easily be placed into any PC as a hard drive would. – The power usage is a key role for the use of solid state drives in portable computers. Because there is no power draw for the motors, the drive uses far less energy than the regular hard drive. The solid state drive will consistently draw less power than the traditional and hybrid hard drive. – The drive does not have to spin up the drive platter or move drive heads, the data can be read from the drive near instantly. 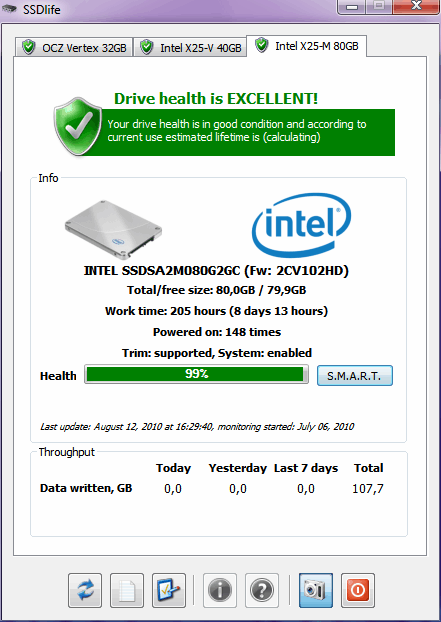 Hybrid hard drives do tend to mitigate the speed aspect when it comes to frequently used drives. – Reliability is also a key factor for portable drives. Hard drive platters are very fragile and sensitive materials. Even small jarring movements from an impact can cause the drive to be completely unreadable. Since the SSD stores all its data in memory chips, there are fewer moving parts to be damaged in any sort of impact. While mechanically SSD drives are better. There are three primary concerns impacting SSD adoption in the enterprise: Endurance and reliability, a lack of industry standards, and high cost. SSDs wear out over time. NAND flash memory can only be written a certain number of times to each block (or cell). SLC memory generally sustains 50,000 program/erase (P/E) cycles, while MLC memory is generally ten times less at 5000 cycles. Once a block (or cell) is written to its limit, the block starts to forget what is stored and data corruption can occur. Seagate is actively developing techniques such as wear levelling algorithms to address endurance and reliability concerns. SSDs store data differently than hard drives; therefore the time-tested and field-proven industry standards used by hard drives do not equally apply when working with NAND flash technology. Seagate is actively leading SSS industry standards development through organizations such as JEDEC and SNIA to advance SSD adoption in the enterprise. To date, the cost of SLC memory is roughly three times higher than MLC memory due to two factors. First, MLC NAND stores two bits of data per cell and can provide twice the storage per square millimetre of silicon (the main cost of the memory). Second, the volume of MLC is roughly 90 percent of all NAND flash, further increasing the economies of scale in its production. Today, manufacturing facilities (fabs) are primarily focused on building MLC memory. Significant investment is needed to recalibrate or build fabs that are designed to meet the quality, consistency and support levels required in the enterprise. Fabs are expensive and sophisticated operations; a 2010 estimate puts the cost of building a new fab in the billions (US dollars). Intel guarantees that the total of about 37 TB of data will be written to X25-M drives (20 GB per day for 5 years: “The drive will have a minimum of 5 years of useful life under typical client workloads with up to 20 GB host writes per day.”). Too good information on SDD . . .